Now that it’s summer, it would seem that everyone is out having fun under the sun. Whether it’s getting tanned and soaking up on the beach, going on a cruise, or having a BBQ party with family and friends, summer sure is a great season for everyone to enjoy. You know what else is amazing about summer? Picnics! If you love mouth-watering food as much as you love nature and the sunny weather, you’ll definitely love August, the National Picnic Month! A picnic can take place anywhere, as long as it’s outdoors with fresh air. It can be on your favorite beach, at a community park, or even in your own backyard. With good food and even better company, picking a spot won’t be a huge concern for you. It isn’t a picnic without everyone’s favorite meat on the menu. Show them how fantastic of a chef you are by adding your own flavor! Picnics aren’t just about eating and sipping cool refreshments. It’s always a good idea to include outdoor games such as Frisbee, flag football, croquet, badminton, or volleyball. Another way to get the occasion going is through a competitive mind-stimulating game of Scrabble, chess, or monopoly. Encourage everyone to showcase their skills and abilities. The one with the most cheers from the audience gets to win a prize. Bring food that doesn’t need refrigeration. Since you’ll be spending the day under the heat, it’ll be a bad decision to bring something that gets easily spoiled. You don’t want your stomach churning the next day, do you? See to it that you have something extra just in case you have unexpected guests coming along. It’s always better to have leftovers than to have your late attendees leaving with an empty stomach. Choose family-style sharing over individual servings. Not only is it more convenient for everyone, but it also saves you from using too many containers. Take a cooler with you. Got lots of sodas and juices for your guests? Keep them icy and chilly by stuffing them on your portable cooler. Out of ideas for your menu? Want to try something new? These resources for picnic recipes will help you! 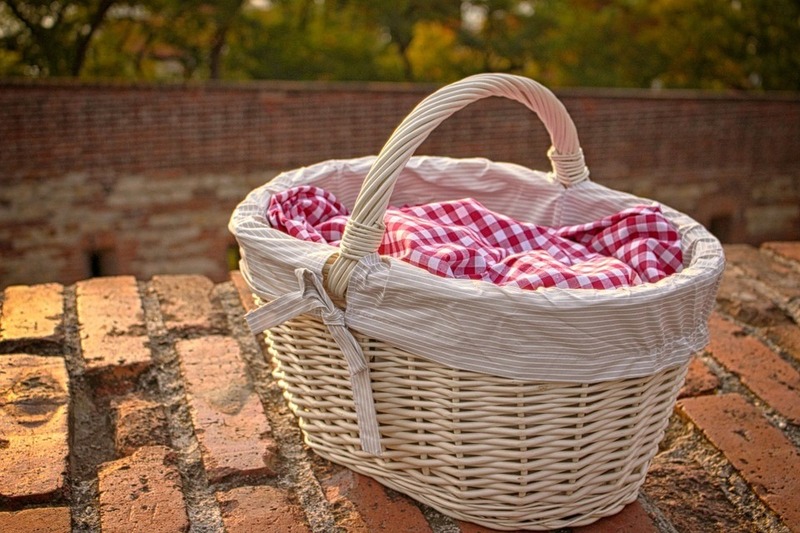 Is your picnic basket all packed and stuffed with your homemade delicacies? Are you ready to give your tummy a huge and tasty treat? Get ready to celebrate National Picnic Month! All of us may agree that a hearty picnic leads to a full and happy tummy. Want to know what brings happiness to needy and suffering individuals, though? A car donation from you! If you have an old sedan or truck that you no longer use, you might as well get rid of it for a worthy cause. By doing so, you’re not only freeing yourself from the burden of paying for its insurance and maintenance; you’re also helping us rescue disabled and other disadvantaged individuals and families from poverty. Your old car can be a source of funding for programs such as job training, ex-inmate re-entry services, job placement, career development services, disability benefits support, and so much more. Teaming up with Goodwill is a decision you’re sure to love. Apart from the fact that we offer free towing in all parts of the country, we also provide a donation process that’s really quick and simple. Best of all, we’re giving you the opportunity to enjoy a top tax deduction! Once you’re ready to donate an automobile to us, just let us know. You can contact us either by calling us at our toll-free 24/7 hotline 866-233-8586 or filling out our online donation form. After we’ve gathered all the information we need to know about your car, you can leave the rest of the work to us. To know more about Goodwill Car Donations and our donations process, feel free to call us. You can also visit our FAQ’s page or contact and send us a message online. Are you ready to make a difference in the lives of your less fortunate neighbors and fellow community members this National Picnic Month? Donate to Goodwill now! Give us a call at 866-233-8586!